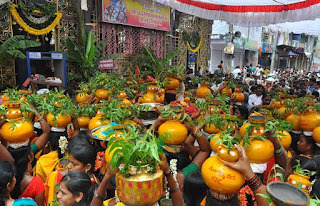 Polala Amavasya is observed in sravanamasm every year. Polala Amavasya is on 17 August in 2012. Polala Amavasya dedicated to goddess poleramma. 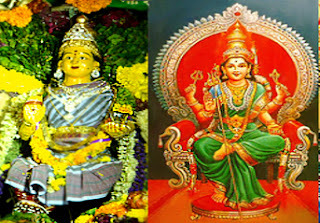 The puja is done on sravanamasam amvasya day means no moon day so it is called as Polala Amavasya. This puja will performed by married women so poleramma can safe guard their children from the diseases and death. Goddess of the diseases like Chicken-pox and Small pox. pooja and do prasadams like Thaligalu Paravannam (Rice flour noodles in rich coconut and cashew paste), Billa Kudumulu (Streamed Rice flour chapathi).